A note on the back says that the photographer is A. Pollard, of Mold, and it also says Llong (which is the first station out of Mold going towards Chester). However, it doesn't look like Llong or even the nearby siding and Norman has been told that it definitely isn't. Norman doesn't know of any other station of that name but he adds that 'Llong' means 'Ship' in Welsh so it could be a pub! Given that the photographer was in Mold, it ought to be somewhere in the vicinity. Perhaps one of the sidings on the Coad Talon line? I'll check my large-scale maps. 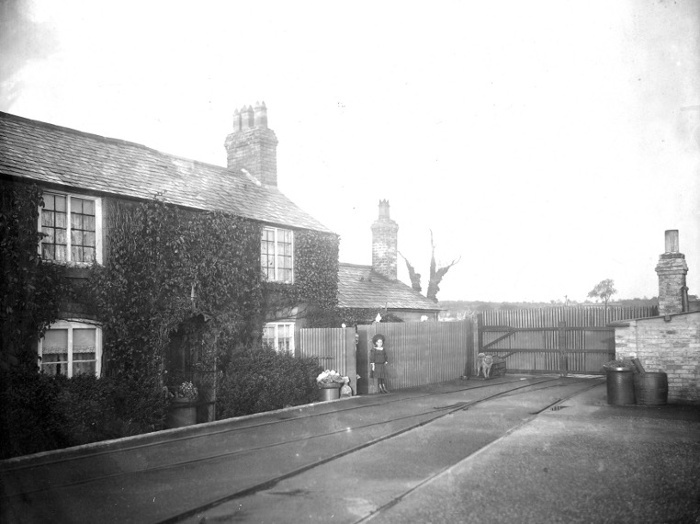 There is a fine photo of Llong station at here and as suggested it bears no resemblance to the building in the photo. Photos of Coed Talon are here. Again, no resemblance can be discerned.